The factory is built to house the whole modern propellers manufacturing facility including mould making, casting, machining, finishing and inspection. To carry out the production in our factory we are using the most advanced manufacturing techniques in conjunction with special Dutch and German built equipment and suppliers in addition to the strict controlled conditions, for making a responsible choice, our foundry as partner in the casting and manufacturing of your single propellers and cast components. 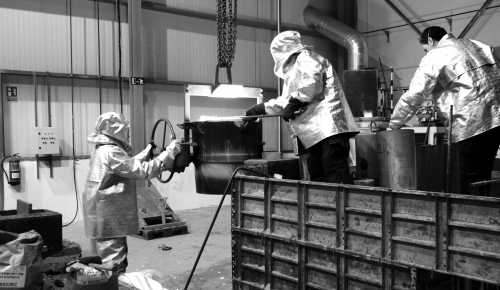 The foundry is equipped with a new tilting melting furnace of 2000 Kg capacity for cleaner and purer castings. 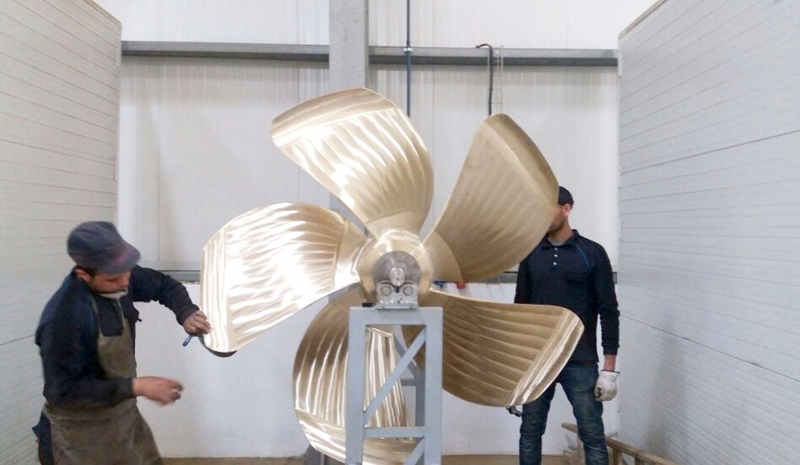 The propellers designs are optimized for all categories and sizes of ships by an experienced professional partner of an excellent reputation engineering consultancy for ship hydrodynamics and propulsion to meet the customer needs and to suit the required application. The propellers designs are optimized by using a combination of specialist software and the experience gained over the years, and the results in propellers a high degree of efficiency combined with the prevention of cavitations and the minimum production of sound and vibrations and all those parameters have a significant effect on fuel costs and on the maneuverability of the ship. The propellers are manufactured in our foundry according to client specifications and under the supervision of our quality team during the sand moulding, the casting, the hand polishing and the machining processes to achieve the required quality . The mechanical properties of the certified material of propellers is checked always to the test samples provided from each cast by mechanical test and hardness test. Our propellers are manufactured according to standards ISO484-2 and ISO484-1 in tolerance Class 2 and in tolerance Class 1upon request and all our propellers are statically balanced. 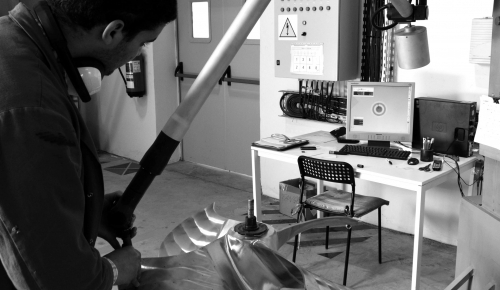 We employ 3D measuring arm to all our propellers and can be delivered with their inspection certificate according to the specifications required by all accepted class societies such as Lloyd’s Register of shipping, Bureau Veritas, American Bureau of shipping, RINA and DNV-GL. JANNOT applies the sand casting process for small and large propellers weights and the manual moulding method is used for one-off production. The precision castings are moulded with the most advanced contemporary moulding techniques available to meet the highest quality standards for all propellers. The propellers are hand moulded castings and produced by experienced moulders from new German continuous screw sand mixer using WÖHR set machine and cast from new also German HINDENLANG tilting furnace. It is obvious that Jannot Propellers have today’s technological advancement in machine shop equipment as many major centers across the world. 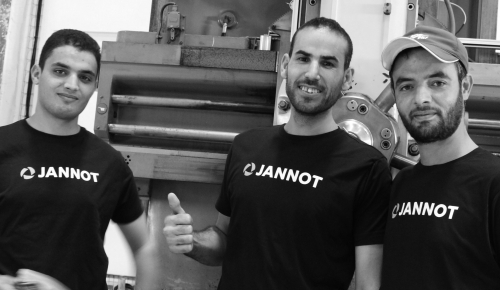 Repeatedly, Jannot personnel apply their skills to reach the highest possible standards required by customers. It’s not the machinery, but the ability of the people who operate a complete line of machinery and equipment to complete jobs with precision, speed and distinguished recognition including turning lathe, boring mill, radial drill, milling machine and slotting machine. 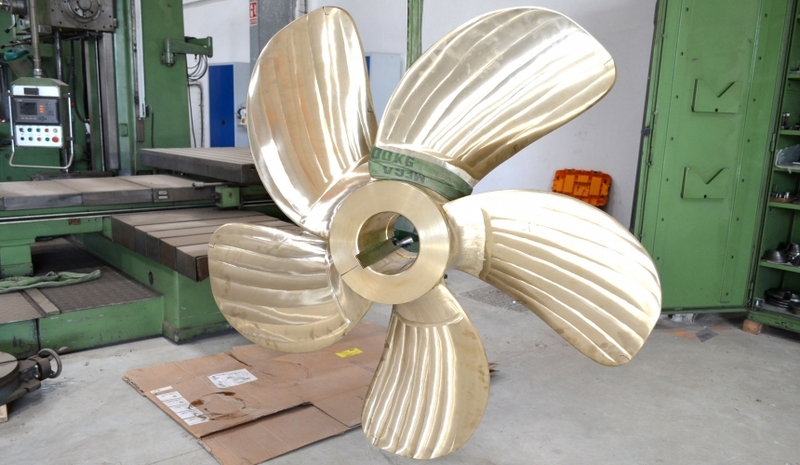 We produce turned and milled marine propellers from Nickel Aluminum Bronze alloy material to exceedingly high standards for use in marine industries and operating under the criteria of ISO 9001:2008 quality control standards. Our machining equipment is specifically designed for long and short production runs requiring tolerances of up to 0.03 and supported by a fully equipped machine shop. The machining area is serviced with two overhead eight tones cranes to facilitate propellers handling and is contained within a secured area to ensure our propellers traceability requirements under ISO 9001:2008 are met. Our propellers are hand-polished, finished and balanced by a team of dedicated skilled and specially trained staff who share a clear understanding of what it takes to manufacture a world class propellers. The finishing process is carried out by our skilled polishing team to guarantee the homogeneity of our propellers in terms of geometry, weight, roughness and correct static balance.